After almost 30 years of my life without any real sporting activity I started with running to improve my health. Running changed my life – and my way of living over the last years. Now sports (especially running) is an important part of my life: to reach some minor goals but most important for health, for relaxation – and for fun! 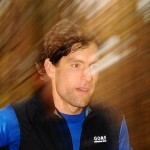 With Trailrun-Worldmasters in Dortmund 2010 I was infected by the virus of trailrunning at first. 😉 This was intensed by several more trailrunning events – especially the Transalpine 2011. I love the combination of sports and nature – and the special challenges of trailrunning in smaller and bigger mountains… motivated by nature!